Sort of an odds and ends Friday as the year winds down. The deep freeze is over here in coastal Humboldt County and it’s back to nice normal rainy weather with nighttime lows in the 40s. I’ve been getting in some good easel time of the past few weeks. 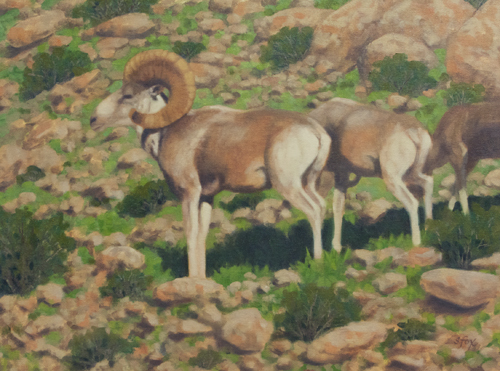 Here’s a new argali painting from reference that I shot in July at Gun-Galuut Nature Reserve. I watched this group of rams work their way across the rocky slope for almost an hour. 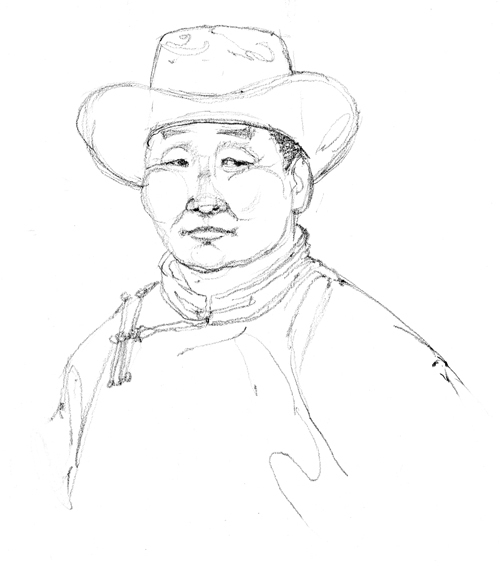 “Uul” is Mongolian for “mountain”. 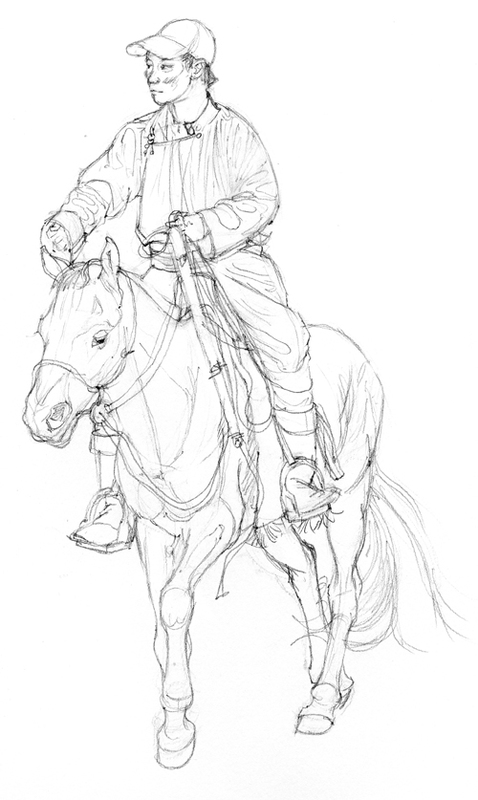 I’ve also decided that I want to paint not just the domestic Mongol horses, but the people who ride them. Which brings me back to wrestling with human figures, as described in an earlier post. I get a better result if I can scan the drawings rather than photograph them and also wanted to really hone in on accuracy, so these are smaller and done with a Sanford Draughting pencil, but on the same vellum bristol (which erases very nicely). The heads ended up being only 3/4″ high, which is pretty small, but it reminded me of a story from art school that I thought I might pass along. One of my teachers was Randy Berrett, a very good illustrator who chose to work in oils. This was kind of masochistic, in a way, because it added a layer of complexity when he had to ship out a wet painting to meet a deadline. In any case, he was showing some examples of his work in class and one was a really large painting of the signers of the either the Declaration of Independence or the Constitution, I can’t remember which. Someone asked why he painted it so large. Randy’s answer really struck me at the time and has stayed with me. It’s something worth remembering when planning a painting. He said that he wanted the heads to be at least an inch high and that requirement controlled the final size of the painting. I’ve sized more than one painting on the basis of that criteria since then. 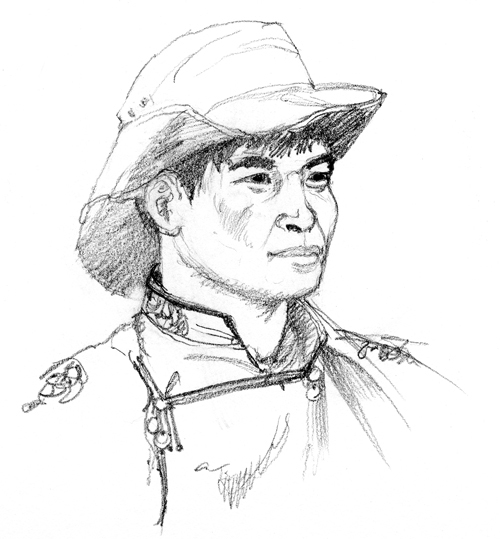 The first drawing combined two pieces of reference. One of the horse and one of the man. In the latter, he was in front of the horse’s head. 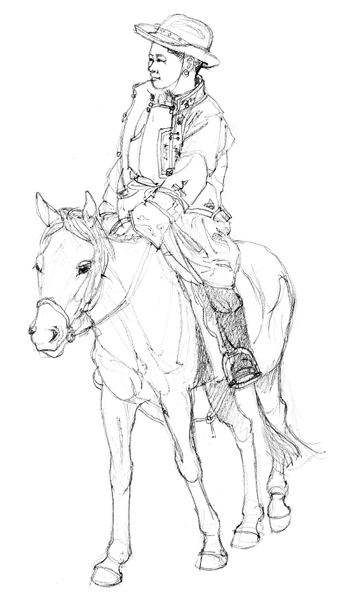 In the former, I didn’t like the pose of the horse. Moving the man back works much better. The sweat from a winning horse is considered to be good luck. There are special scrapers made to remove it. 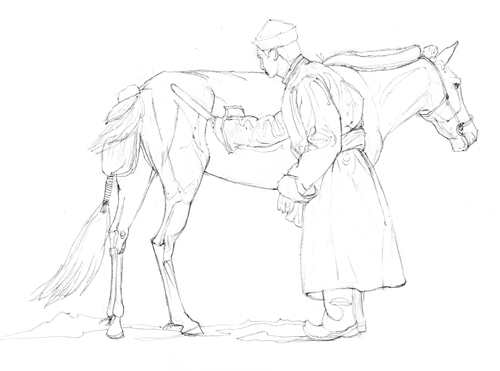 Part of the reason I did the previous two was to see if the images “drew well” and to work on horses coming forward at a 3/4 angle. The final two are head studies, in which the heads are 1 1/2″ from forehead to chin. 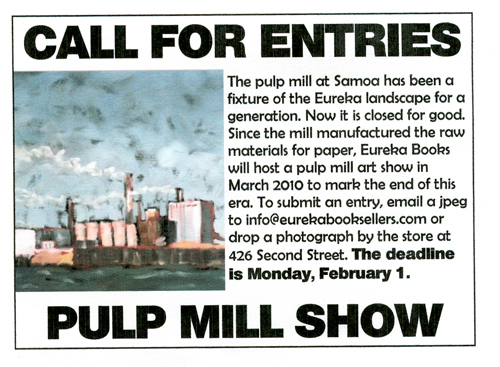 Finally, the folks at Eureka Books in Old Town, Eureka have decided to hold a special art show. Here’s the Call for Entries.